iRobot has announced the upcoming launch of the Roomba e5 Robot Vacuum. The Wi-Fi Connected Roomba e5 is packed with innovative technologies that work together for a clean home every day, and provides improved pick-up performance for consumers at a more accessible price. Roomba e5 will be available through the official distributors of iRobot products in India, Puresight Systems Pvt Ltd. The Roomba e5 is optimised with powerful pick-up technology that easily enables clean floors, every day. It starts with the premium 3-Stage Cleaning system that uses Dual Multi-Surface Rubber brushes, Power-Lifting suction with 5× the air power*, and a high-efficiency filter to clean the dirt and pet hair you see – and the dust you don’t. The specially designed Edge-Sweeping brush focuses on dirt that accumulates around edges and corners. Smart navigation and Dirt Detect technology work together to cover your entire floor and focus on the areas that need it most. The Roomba e5 robot automatically docks and recharges after cleaning so that it’s always ready to go. Roomba e5 is backed with 2 years of warranty on the robot vacuum and 1 year on the battery, provided by Puresight Systems Pvt Ltd. 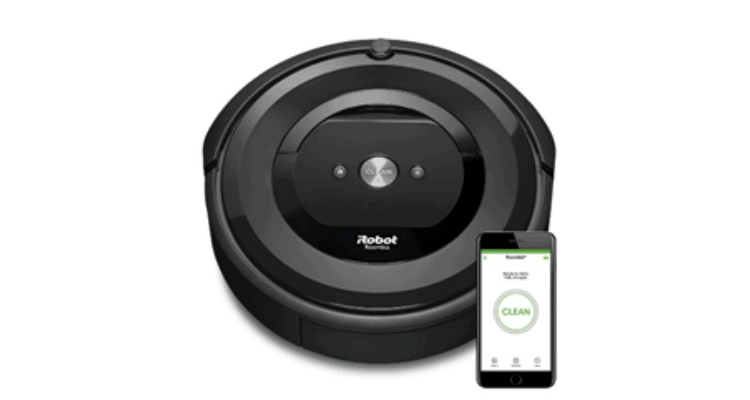 In India, the iRobot Roomba e5 can be purchased from iRobot’s exclusive showrooms across Bengaluru and Chennai, or from the iRobot India website. Powerful performance, powerful pickup Introducing the Roomba e5 Robot Vacuum 0 out of 5 based on 0 ratings. 0 user reviews.